With support from the community, your festival planning committee, and local businesses, your fall festival could become your biggest event of the year and kick off the new school year with a ton of enthusiasm. With advanced planning and a little creativity, your Fall Festival can be a safe, fun, family activity that can blossom from a school event to a local community tradition. 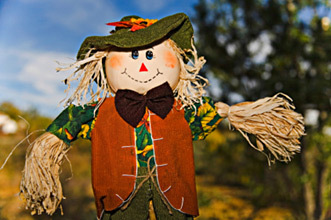 Embrace the prep time and be willing to think outside the box for seasonal Fall Festival fun. 1. What are your objectives for this festival? Are you planning a kid friendly fundraiser, or a free fun filled family event? Will you charge for each game, or will there be an all-inclusive price? Create a budget and stick to it. As you plan your event, involve your leaders and volunteers in the decision-making and brainstorming process. By asking the leaders for feedback, ideas, and suggestions from the start, you're encouraging them to offer their input throughout the planning of the event. 2. Should you use a theme? Be creative. Your theme can be as simple or as elaborate as you want it to be, but be sure it's exciting for kids. Whatever theme you choose, you can build your decorations and games around that theme. Before planning games for your Fall Festival, decide how large an event you want it to be, what age group you are planning it for and whether or not you want to have costumes at the festival. Will you include games and/or other activities or shows? You can include fast and easy, tried and true festival booths and games, but also include new, unique activities too. Encourage new ideas to keep the carnival fresh and exciting. 3. When and where will you hold your festival? Begin planning well in advance. Committees need plenty of time to brainstorm, gather materials, recruit volunteers, and make community connections. High attendance can mean a lot of people traffic. Make sure your location is big enough and spread out activities, ticket sales and food as much as possible. If you make outdoor plans, make sure you have a Plan B location. 4. How will you manage the event? Anyone who has planned an event knows how many details are involved. An awesome festival really just boils down to project management. Have a core group of about four leaders who will be in charge of different elements (food, advertising, donations & games). Choose master planners that have strong social, organizational and leadership skills. From there, create a committee and sub-committees depending on the size of the event, the number of tasks and people attending. Include as many families as you can in the upfront planning and you will have better success and more people to help during the event. 5. Can you recruit enough volunteers? Parents, teachers, friends and family. The size of your event should be determined by your pool of volunteers. Another option is to recruit teen volunteers from nearby middle and high schools who need service hours for graduation. Recruitment becomes easier as your event becomes a tradition. 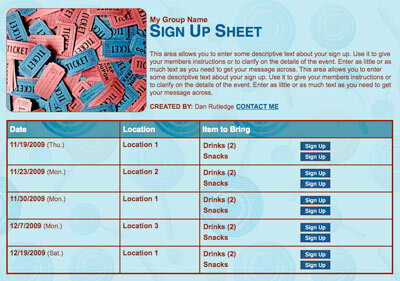 Jump start your event planning with an easy online tool. 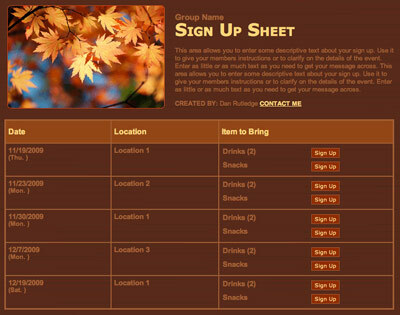 Use SignUpGenius.com to create a free festival volunteer sign up sheet, and include categories such as activities, entertainment, set up and clean up. 6. Should you buy carnival games from a supplier, or should you ask volunteers create each booth and game? Brainstorm, create, and build the games for the event. There are many online resources to purchase supplies, games and prizes, if you want to create your games from scratch. You don’t have to re-invent the wheel, your creativity and resources are only limited by your planning time. 7. Should you also consider raising money for other causes at your festival? Festivals draw large crowds and there may be an opportunity to include a fundraiser for other school events or even local charities. It can be a great way to gather up support your favorite causes. 8. What type of food will you be serving or selling? Food can often be overlooked or planned at the last minute, but this is a great way to wow everyone with tasty snacks and treats. Traditional festival foods include popcorn and pretzels, cotton candy, shaved ice, caramel corn, and candy apples. Hot drinks such as hot apple cider, and hot chocolate are excellent choices for this time of year. 9. How will you market and advertise the festival through your school and community? Draw a record crowd with media attention and publicity ahead of time. Lots of advertising is key. Send flyers to local elementary schools three to four weeks ahead of time. If the budget permits, and place ads in the local newspaper. Feature the unique games, food, booths or activities planned for the day. Include promotions throughout the school, newsletters and on the school marquee. Create a buzz! With a little hard work and creativity, you can plan a Festival that everyone will be talking about! Did you have problems with individuals signing up and then the last day or two deleting themselves from the sign up?